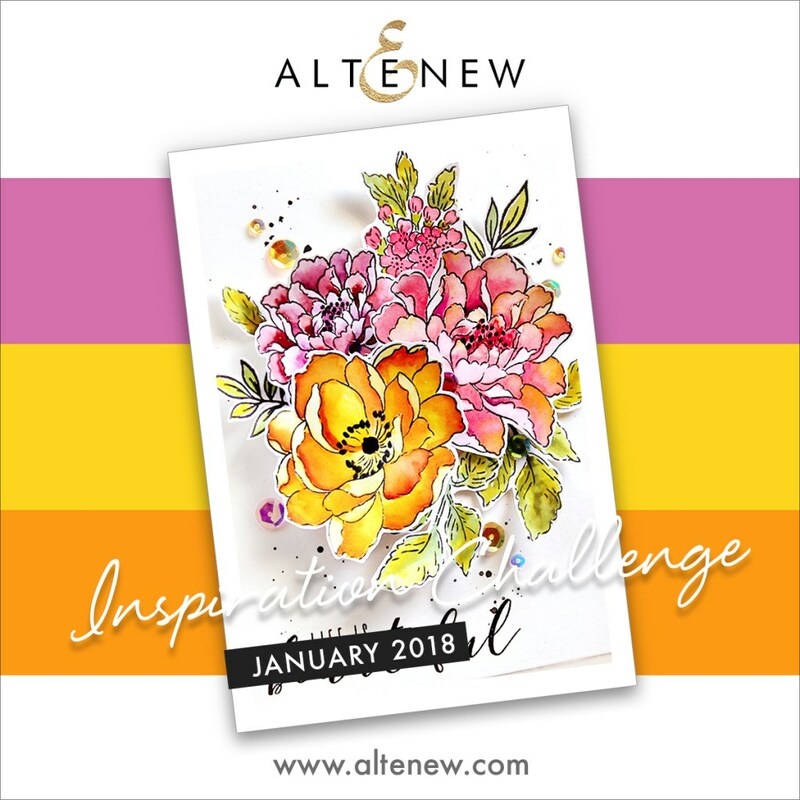 Gorgeous color palette over at Altenew Monthly Inspiration Challenge. 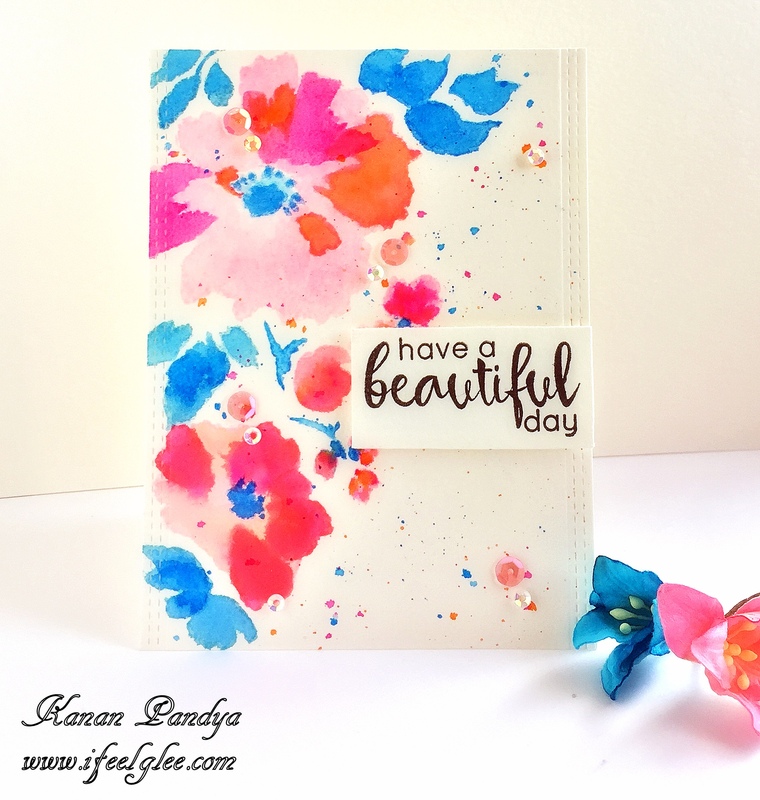 One of my most favorite flower set by Altenew is “Watercolor Wonders“!! 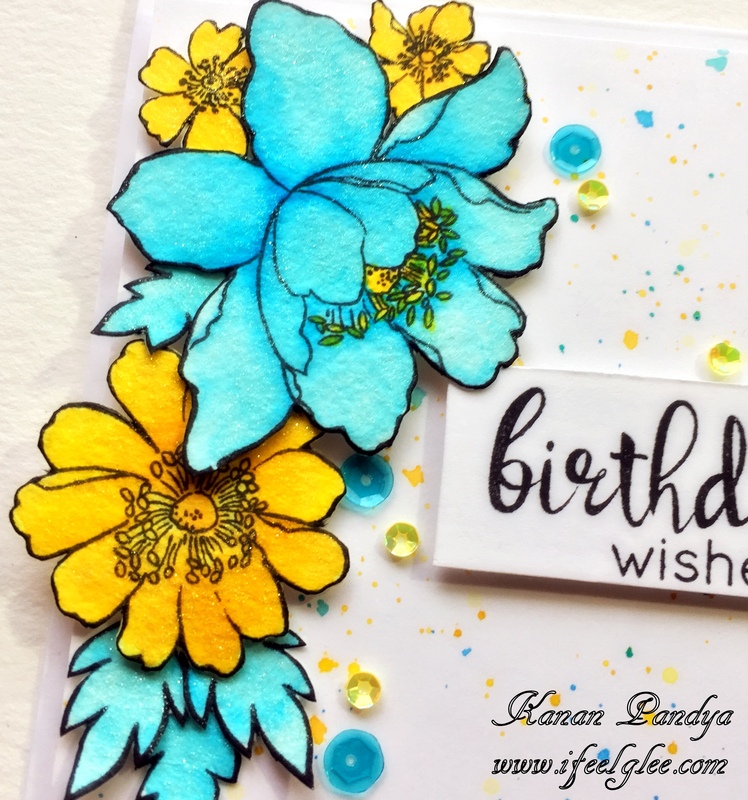 On this cardI have used various shades of Distress inks and Zig markers to watercolor these flowers. 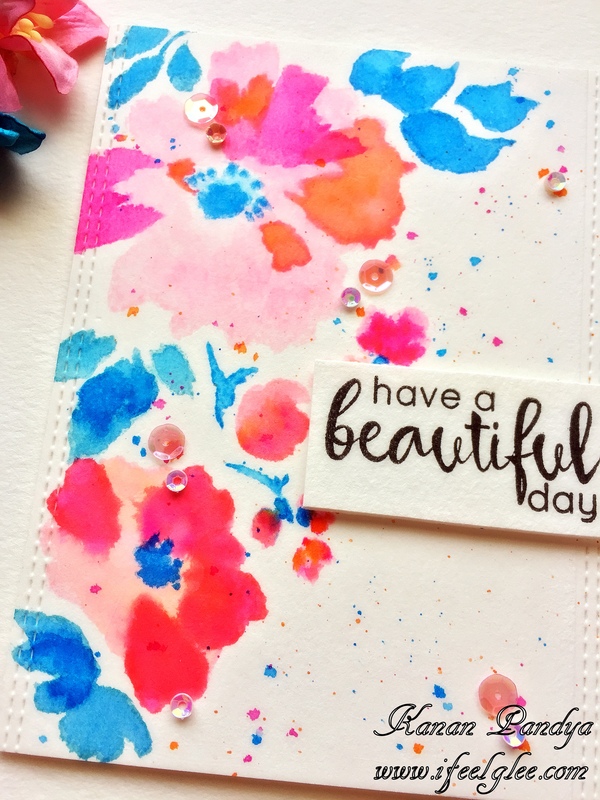 Added some splatters using the same colors. 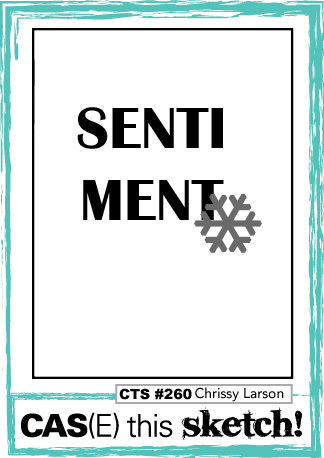 The sentient is from “Floral Frame“. Used stitched die for more interest and lastly, added some sequins. 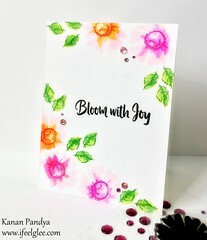 Spring has already started but it’s snowing here and does not feel like spring at all but this card definitely makes me happy. 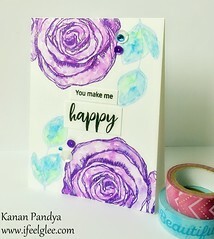 Hope you will like my card too. 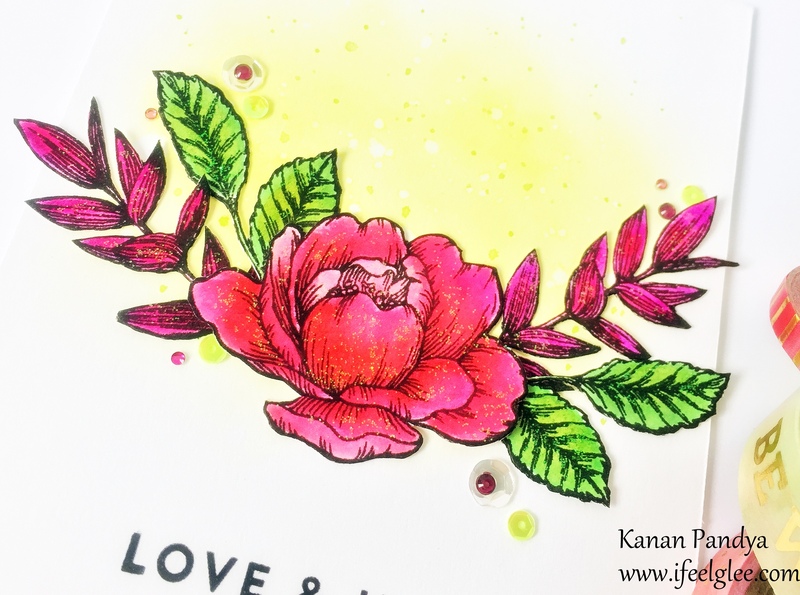 Author kanan0815Posted on March 21, 2018 Categories Card PostTags Altenew, Distress Inks, Zig Marker5 Comments on Have a Beautiful Day!!! 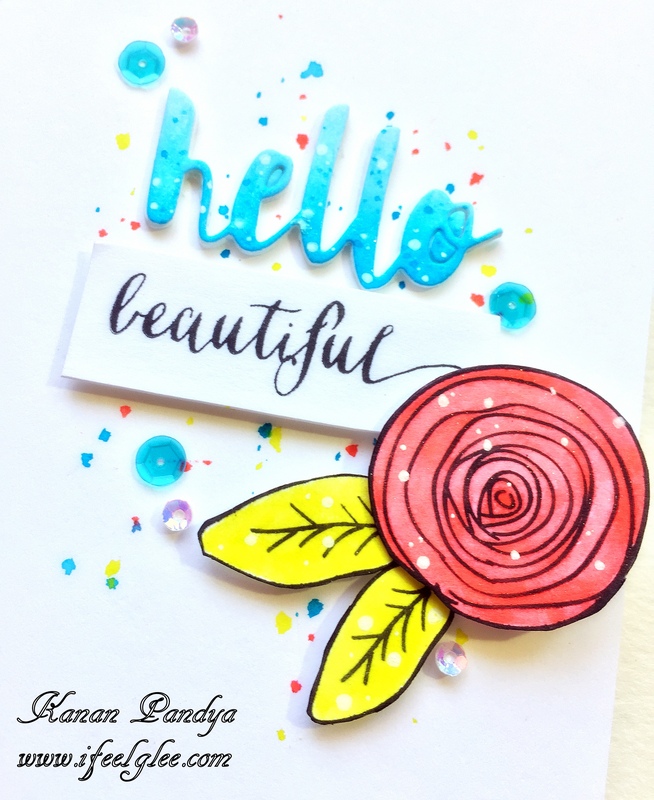 Author kanan0815Posted on February 26, 2018 Categories Card PostTags Distress Inks, Simon Says Stamps, Zig Marker1 Comment on Hello Beautiful!! Hello friends!! 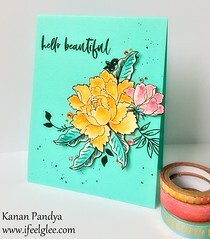 I am back with new card. 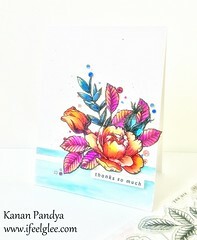 Love the beautiful card by Erum, these colors looks so so gorgeous together. 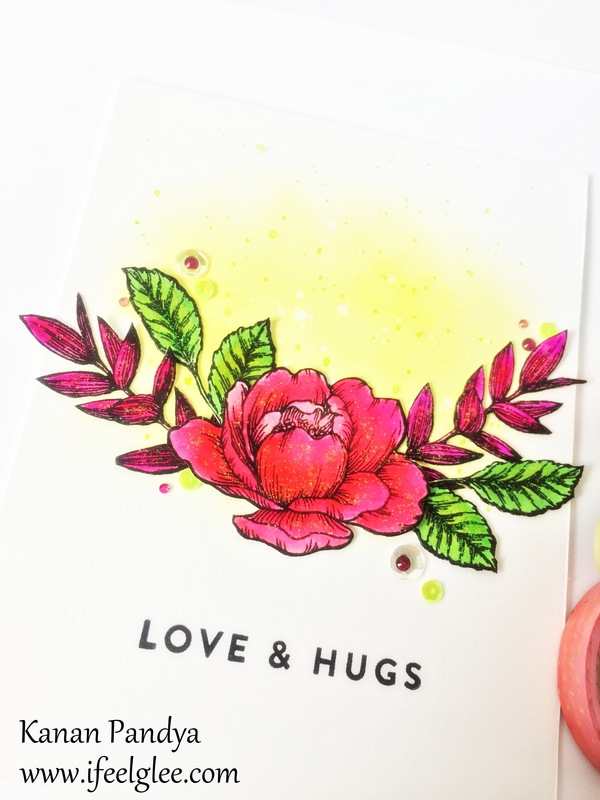 I stamped and water colored the beautiful “Bamboo Rose” set by Altenew using Distress inks. Fussy cut the inner part of the panel leaving the outer edges straight and adhered it on a card base. 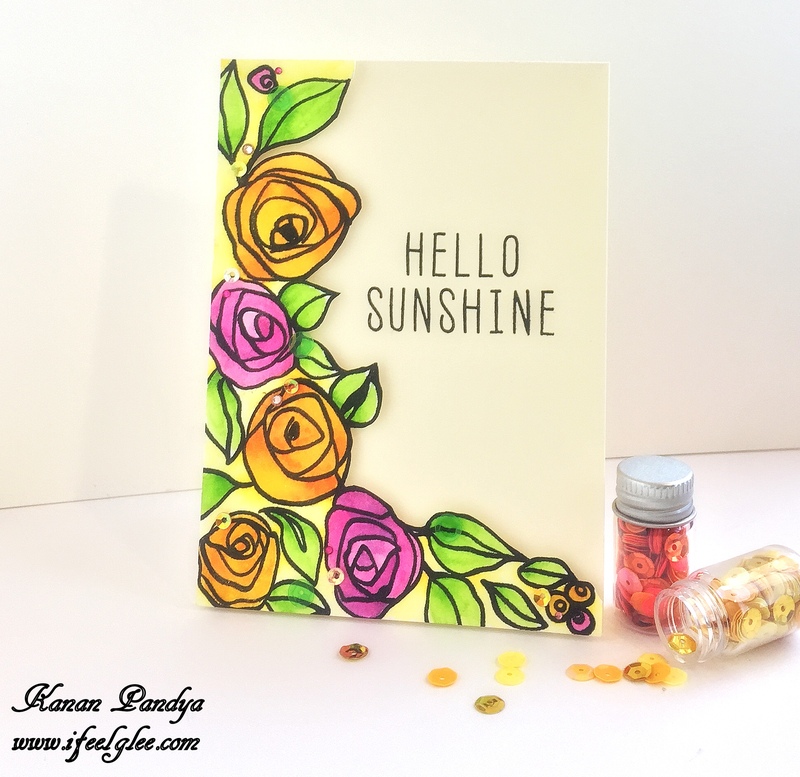 Added the sentiment from “Hello Sunshine” set by Altenew and lastly, added some matching sequences and glitter using “Wink Of Stella” pen. Love these warm colors together. 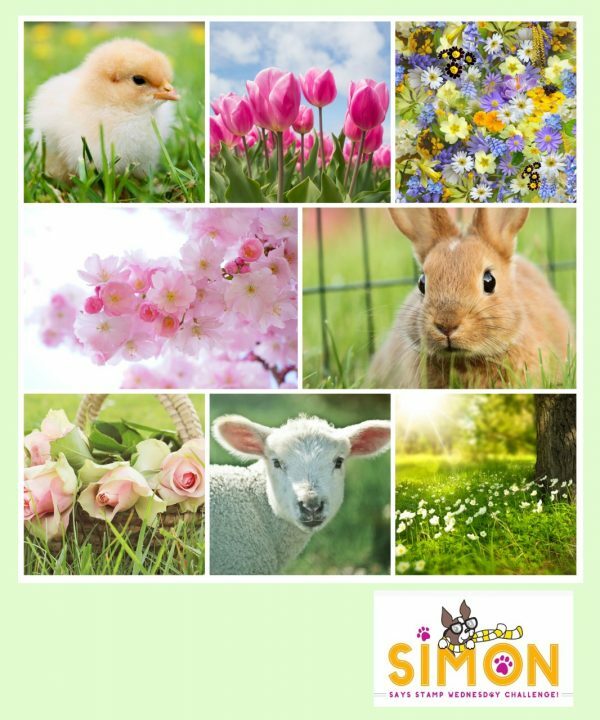 Hope you will like my card. 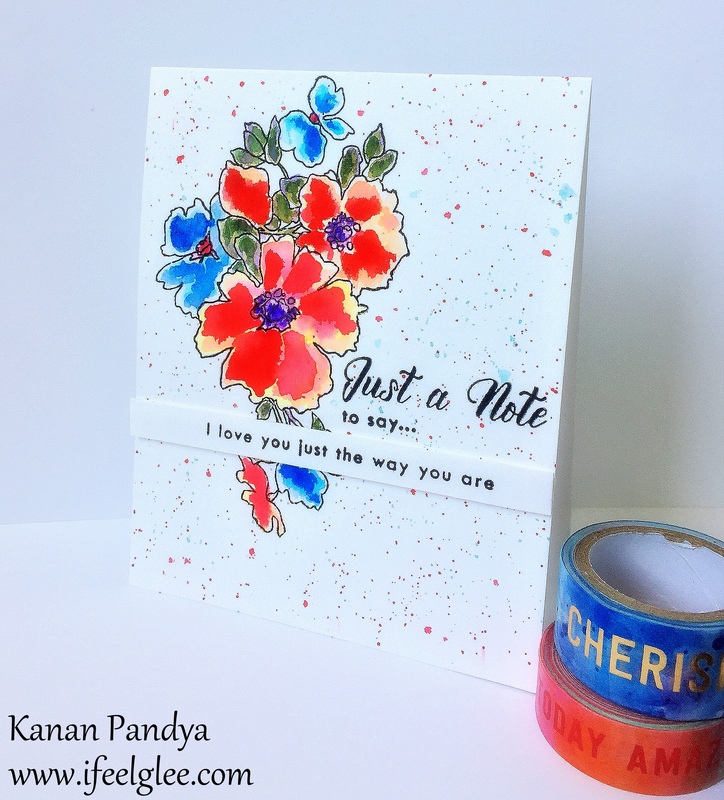 Love Challenge – Love – Handmade Cards, ATCs & Other Crafts!! 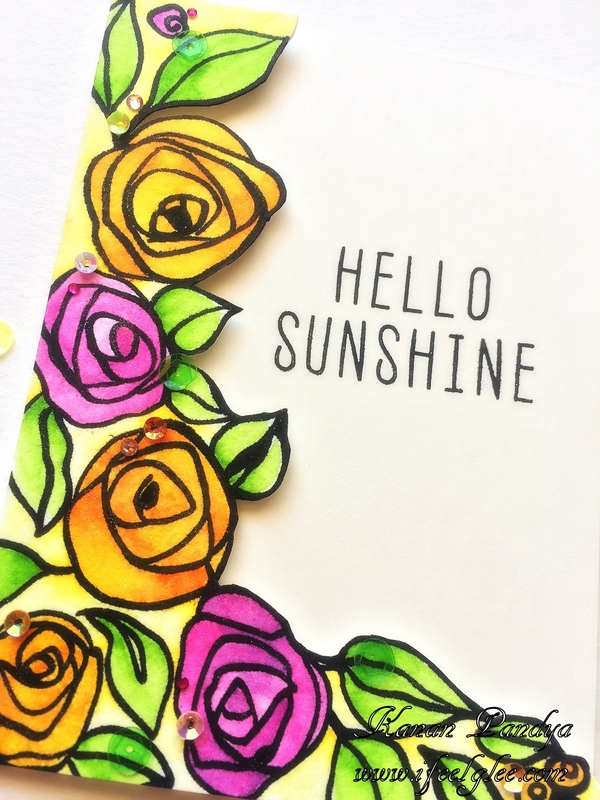 Author kanan0815Posted on January 18, 2018 Categories Card PostTags Altenew, Distress Inks4 Comments on Hello Sunshine!! Hello friends!! 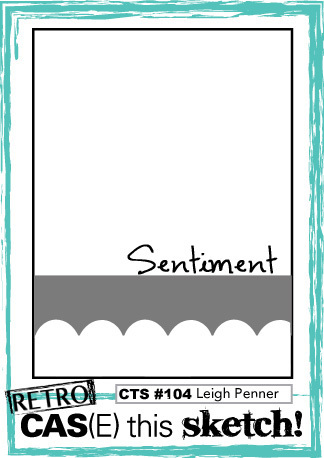 I have a new card to share with you all. 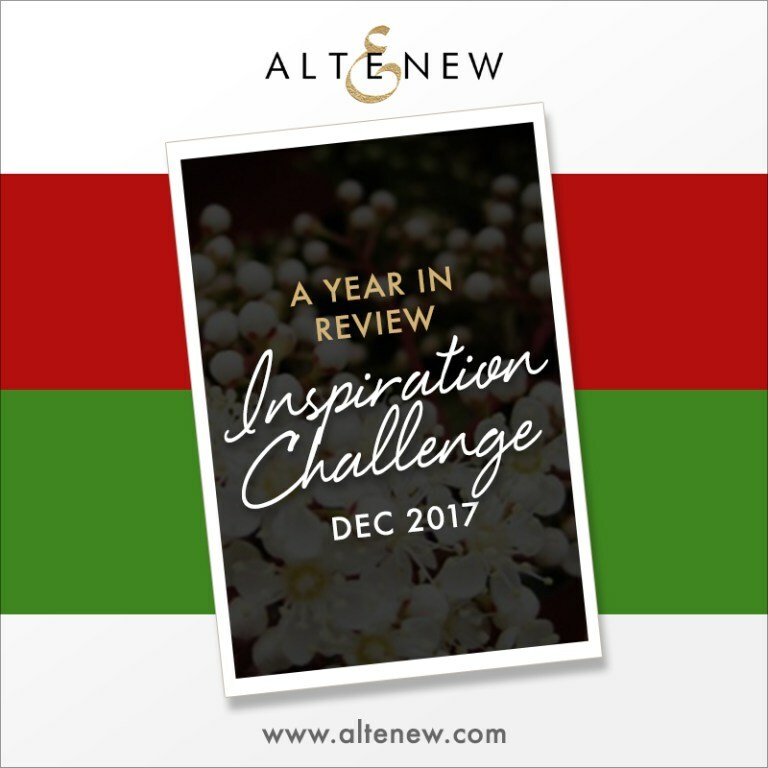 This year I have tried to play in almost all Altenew Monthly Inspiration challenges except one or two. 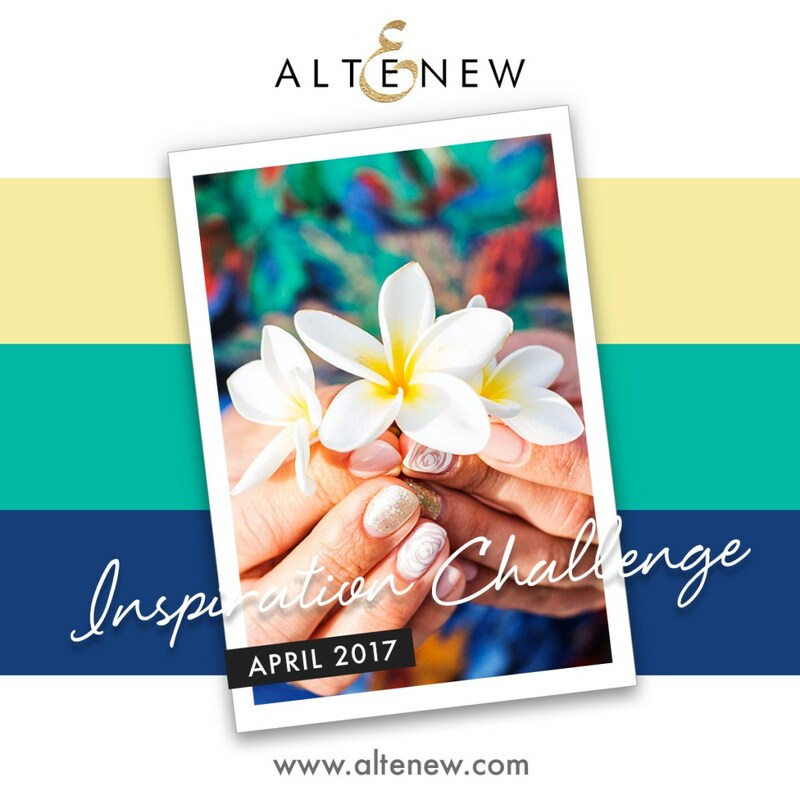 April challenge is one of the challenges I missed. Beautiful lovely colors. 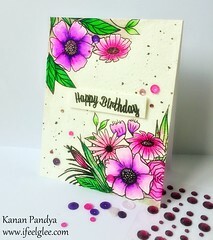 I used the “Garden Treasure” and “Floral Motifs” sets for this card. 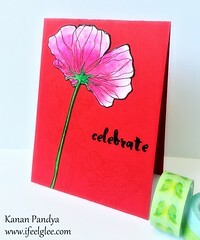 Colored the images using Zig markers and Distress inks. Used the same colors on the card panel to make the splattered background and adhered all the images with some dimension. 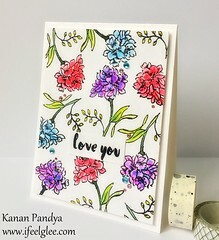 The sentiment id from the “Floral Frames” To finish the card I added some sequins and added glitter on the flowers and leaves using clear glitter pen “Wink Of Stella” pen. 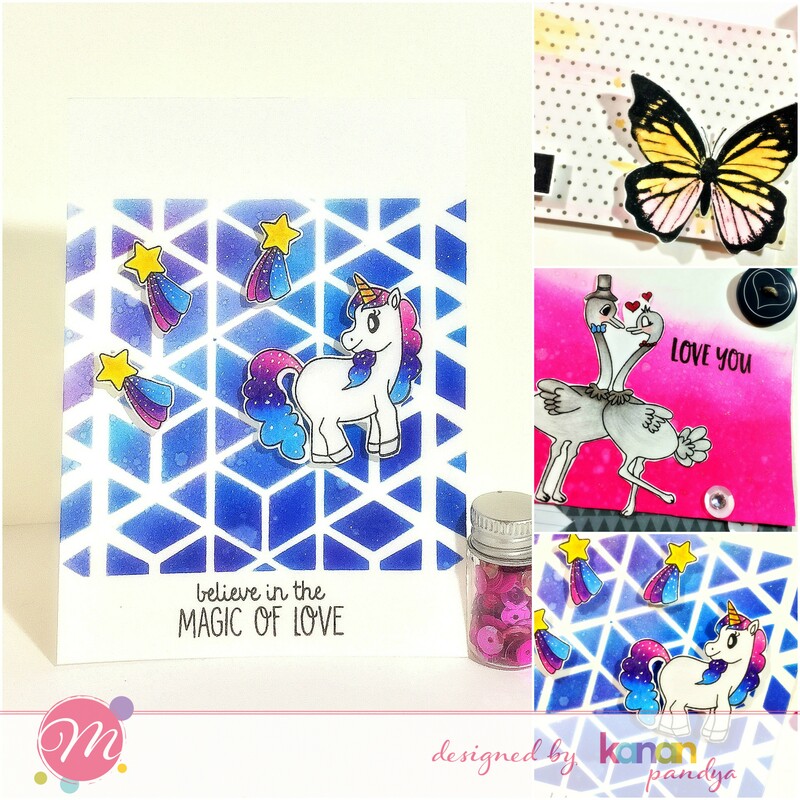 Love how this card turned out, clean and simple yet bright with those colors together. 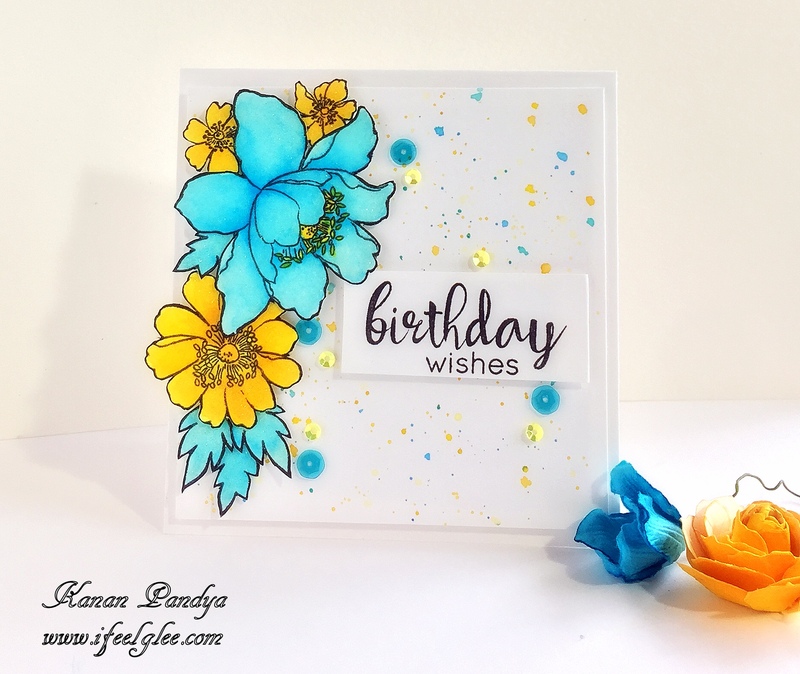 Author kanan0815Posted on December 29, 2017 Categories Card PostTags Altenew, Distress Inks, watercolored, Zig Marker2 Comments on Birthday Wishes!! 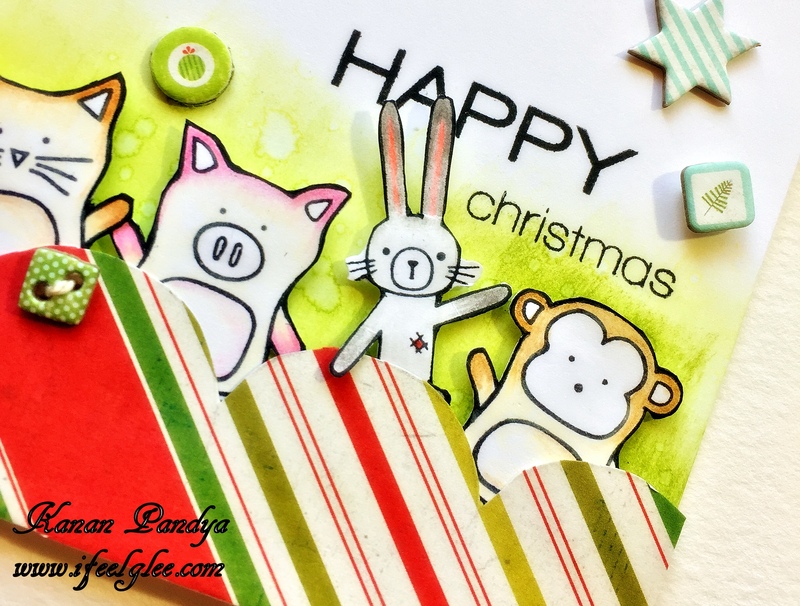 Author kanan0815Posted on December 5, 2017 Categories Card PostTags Distress Inks, Simon Says Stamps2 Comments on Happy Christmas!! 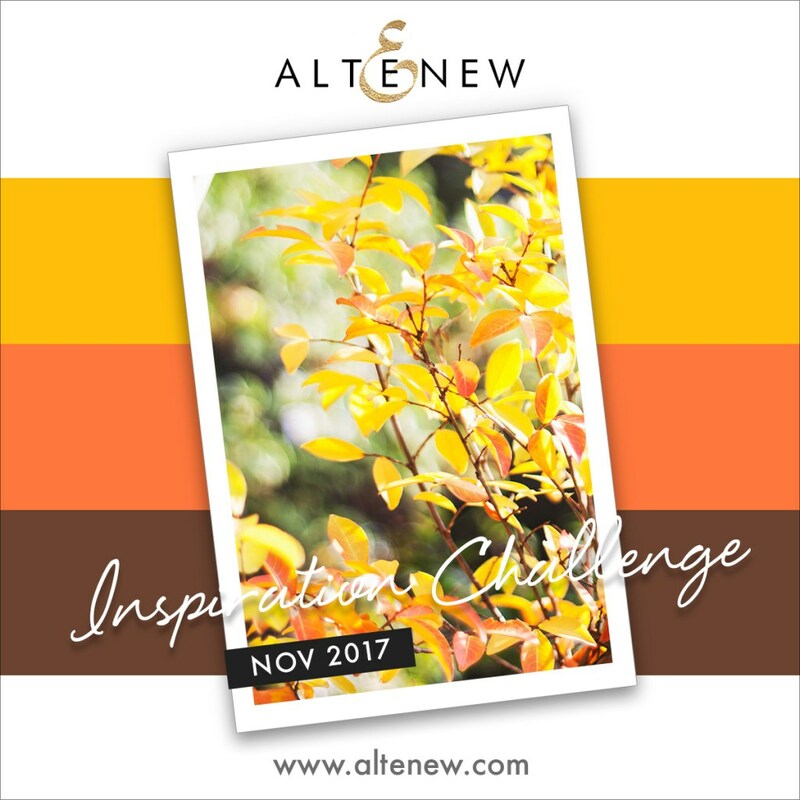 Love these fall color inspiration over at the current Altenew Challenge. 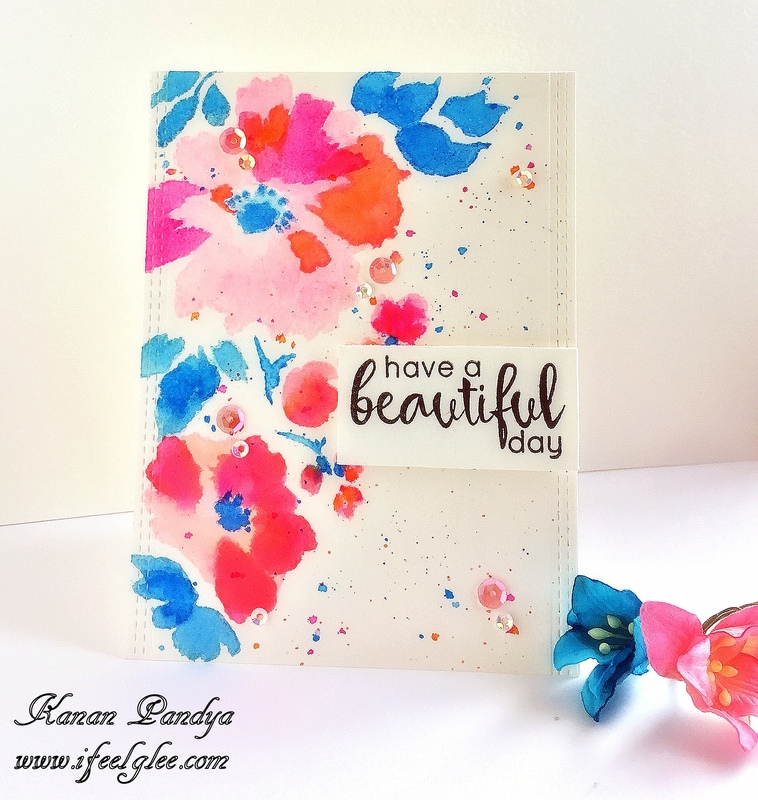 I have used the beautiful and very elegant “Floral Fantasy” die. I die cut all the layers and inked it using Distress ink and sprayed it with water and for the leaves I used brown card stock. 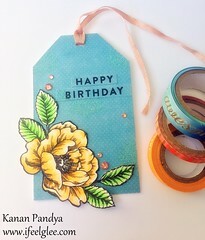 I splattered the background using watercolors and die cut the edge. 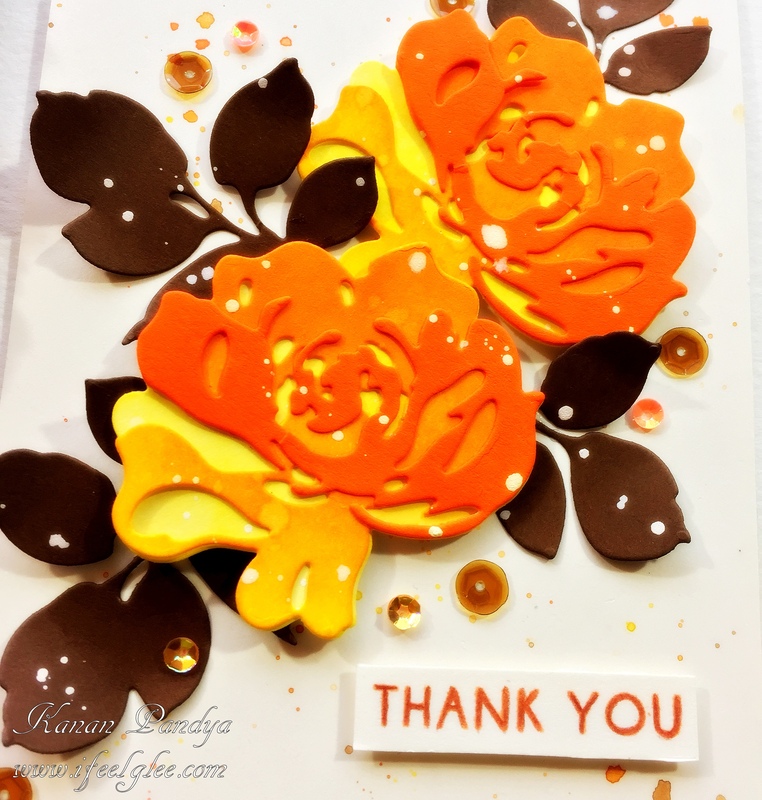 Arranged everything on the card base and added the sentiment from the “Magnolia For Her” set. Added some matching sequins and my card was ready. Love these colors on that background. 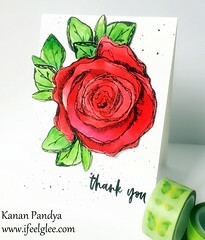 Hope you like this card. 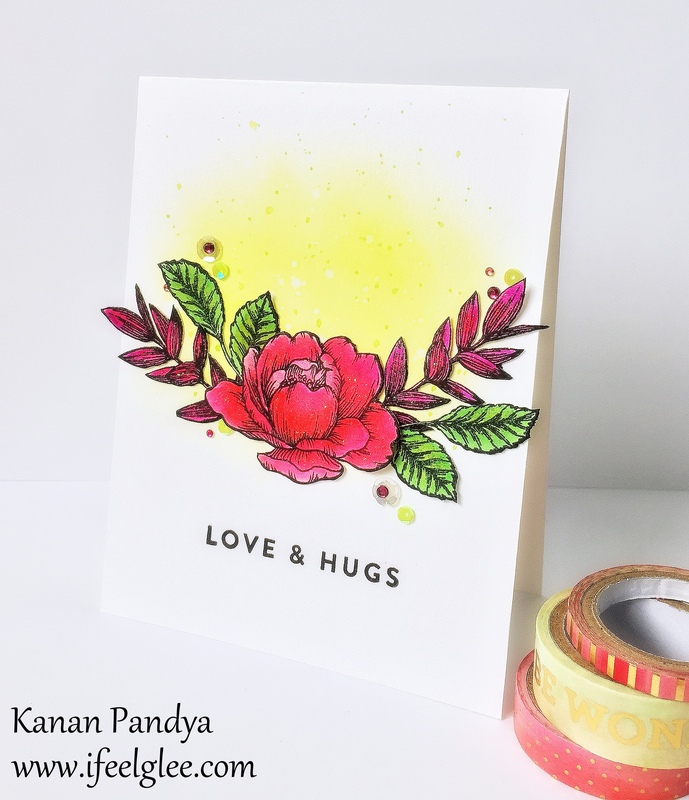 Author kanan0815Posted on November 21, 2017 Categories Card PostTags Altenew, Distress Inks1 Comment on Thank You!! Hello friends!! 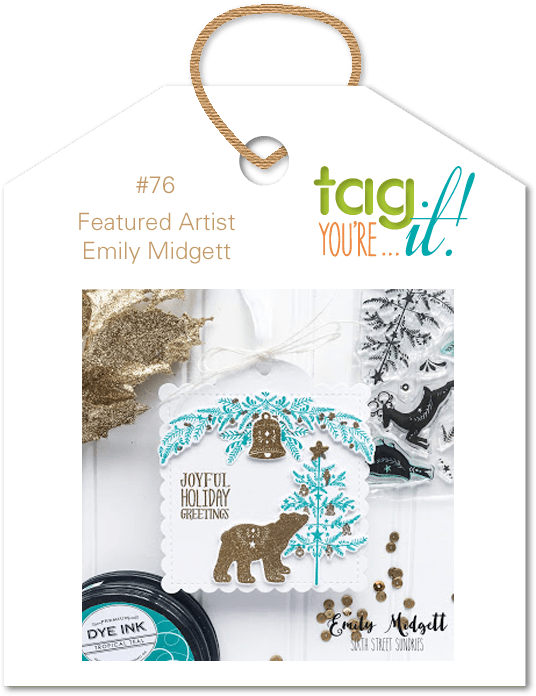 I am so honored to be a guest designer over at Tag You’re It challenge # 76. 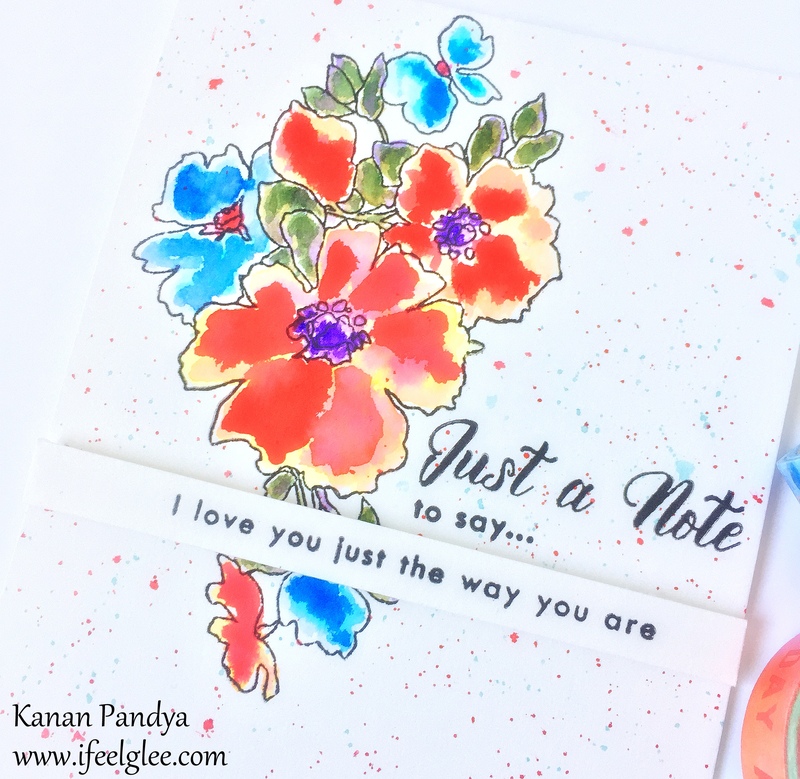 I inked the background using Distress ink and splattered some water. 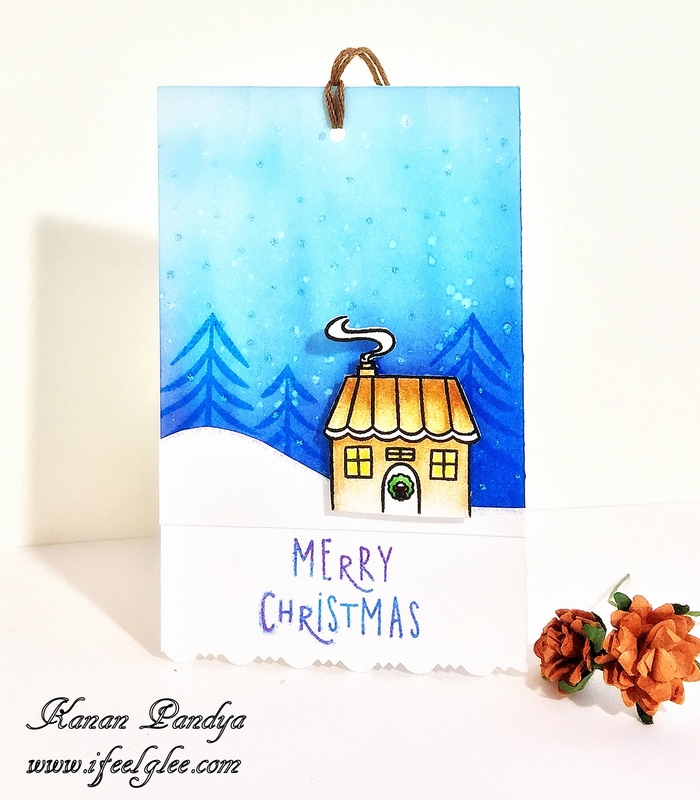 Stamped the tress using Memento ink and colored the tiny image using Polychromos. Added some stickle dots on the background and also on the snowy hill. Love this winter scene. 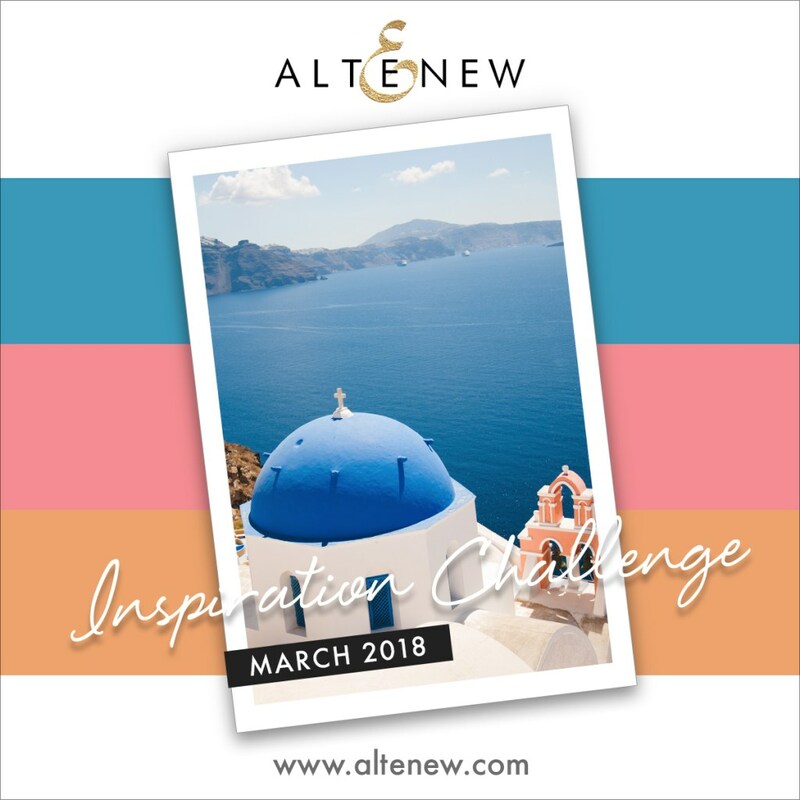 Hope you like my tag and will join this fabulous challenge.